The literal translations of the Chinese names of the two main herbs in this formula include "winter" in the traditional name. Asparagus tuber and the bulbous root known as Ophiopogon are the stars who are like the sweet cool fresh breeze of winter. 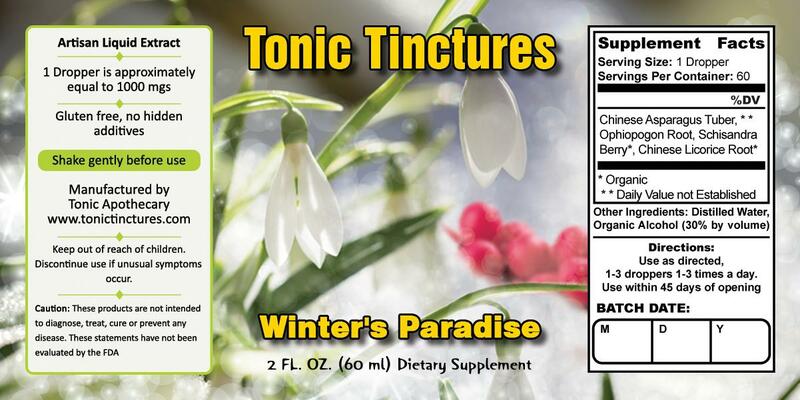 Winter's Paradise Tincture is 1000mgs extract per 1ml dropper.